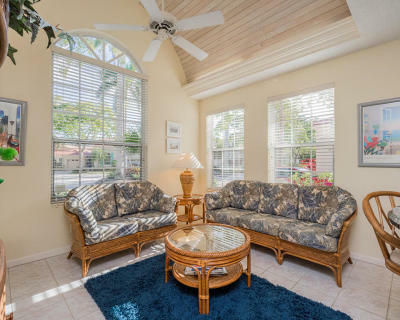 Furnished off season, $2, 500. 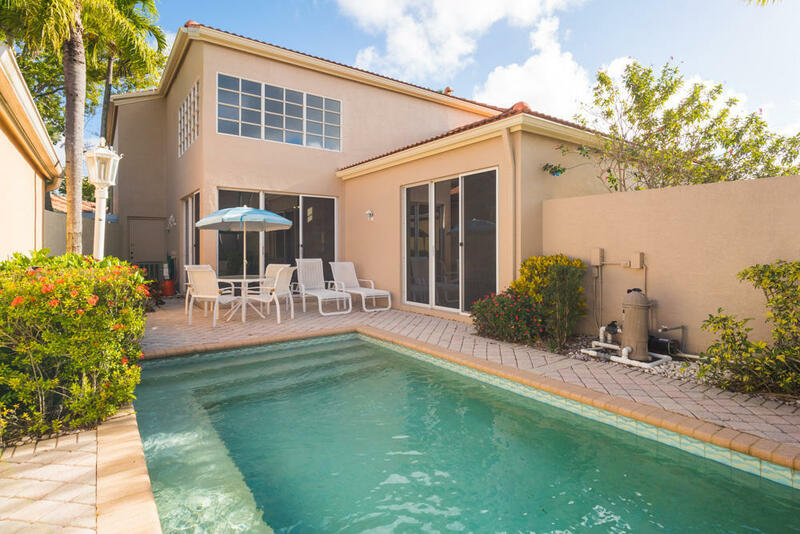 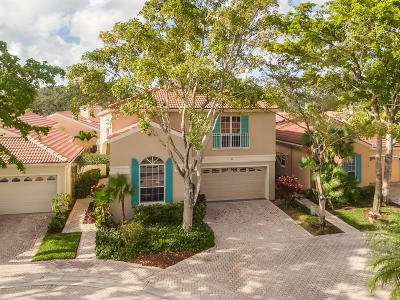 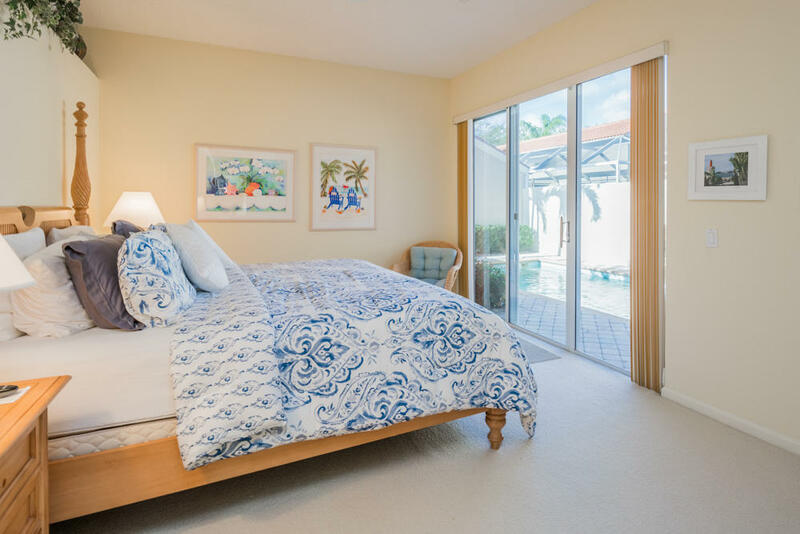 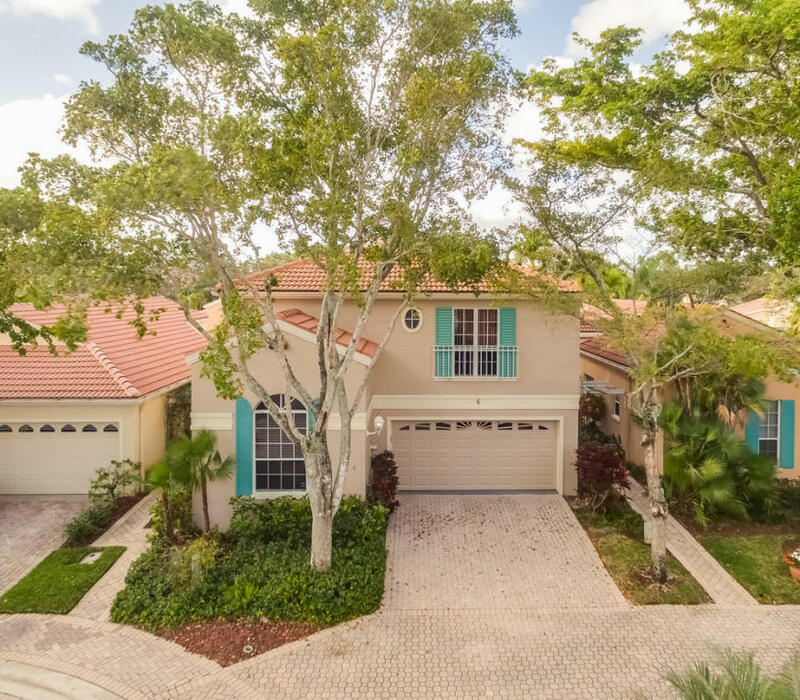 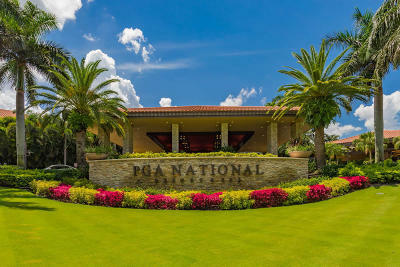 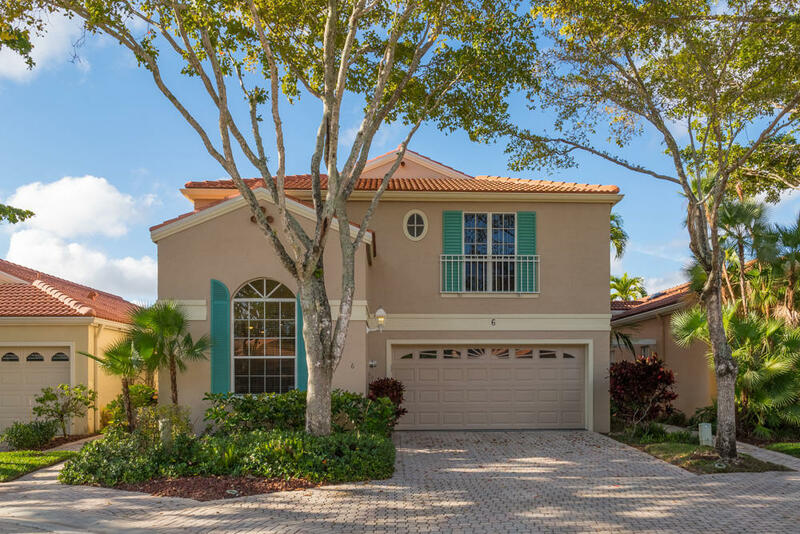 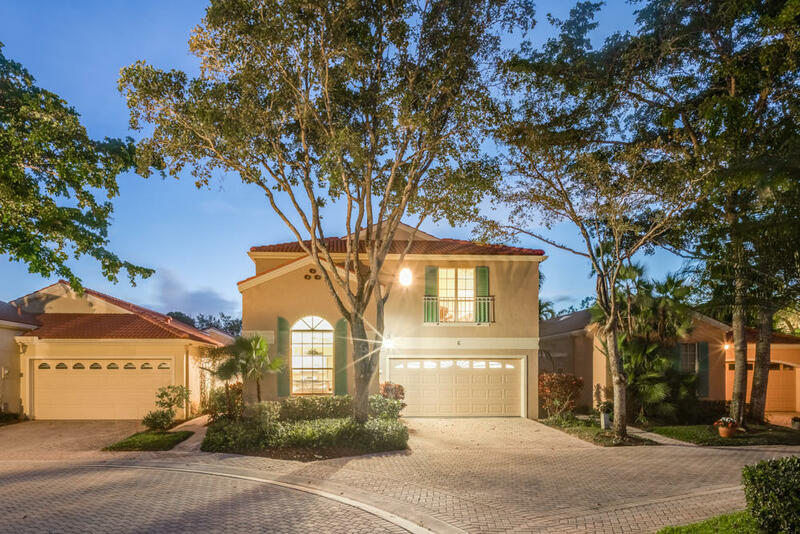 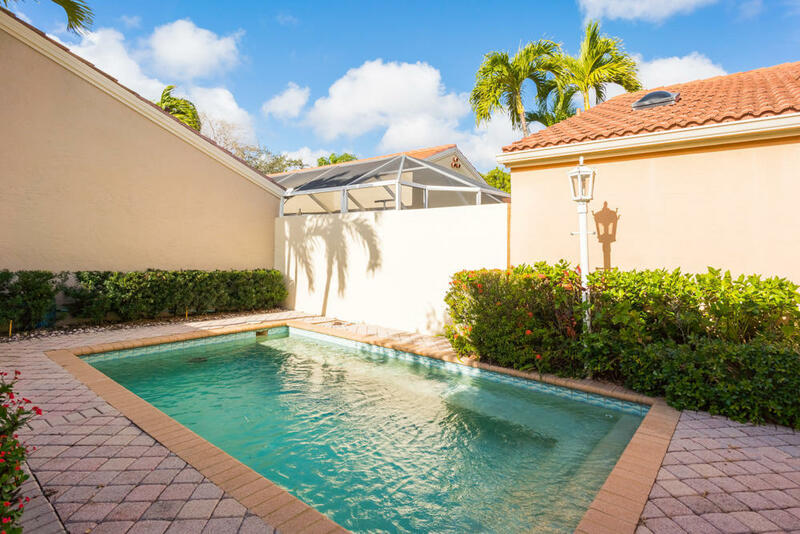 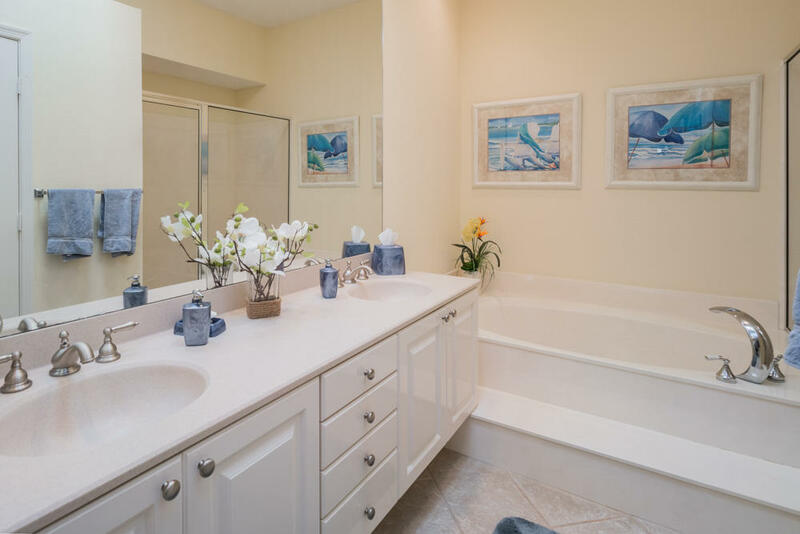 Beautifully updated bright & sunny, 3BR/21/2BA + loft pool home with many desirable features, located in Villa d'Este, the most picturesque subdivision in the highly sought-after PGA National community. This Mediterranean-style home is the Cassandra Model, the most desired model in the community. 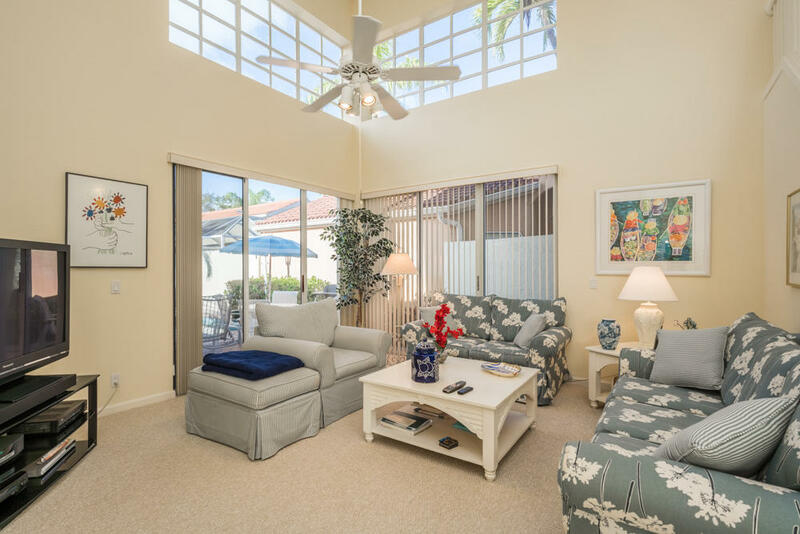 It features soaring two-story and barrel vault ceilings, massive square-paned windows and sliding glass doors, carpet and tiled flooring, neutral colors, crown molding, recessed lighting, and elegant light fixtures. 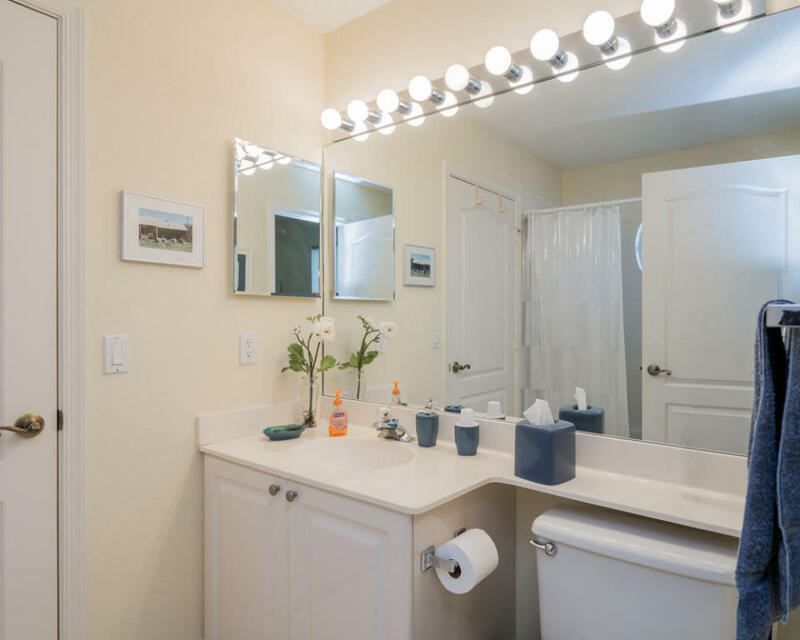 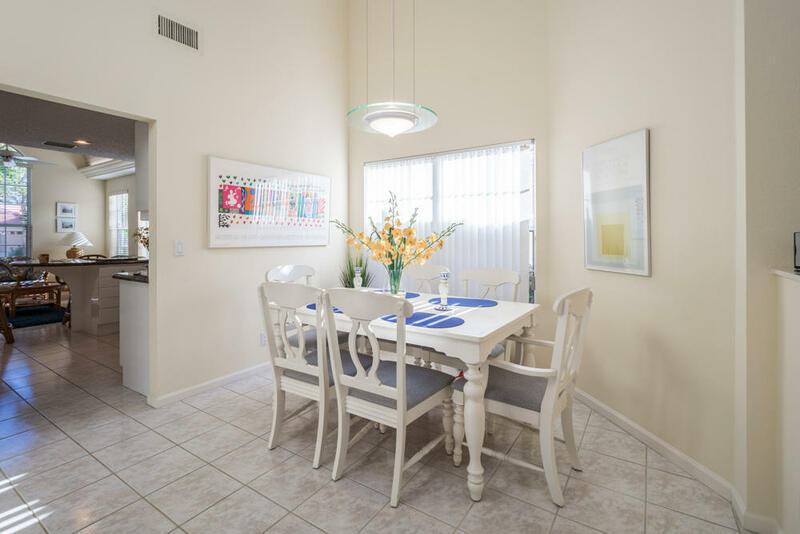 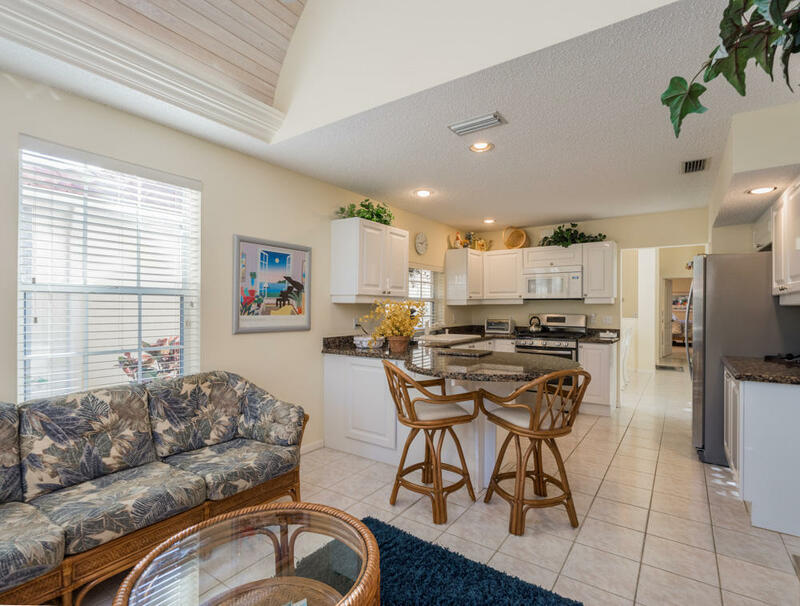 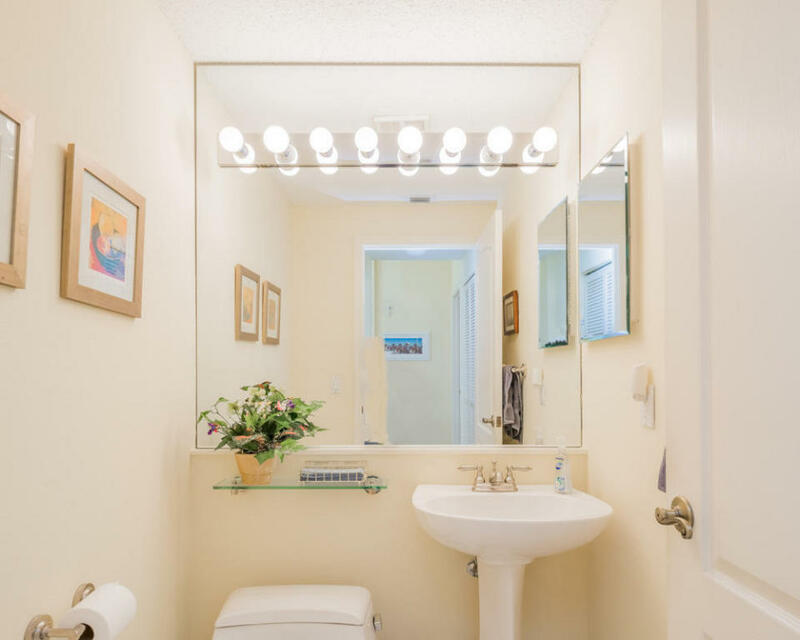 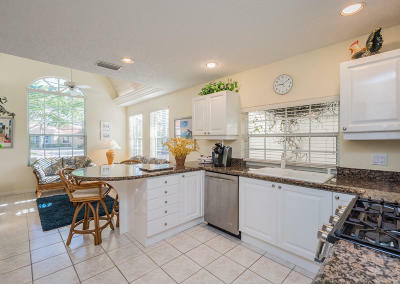 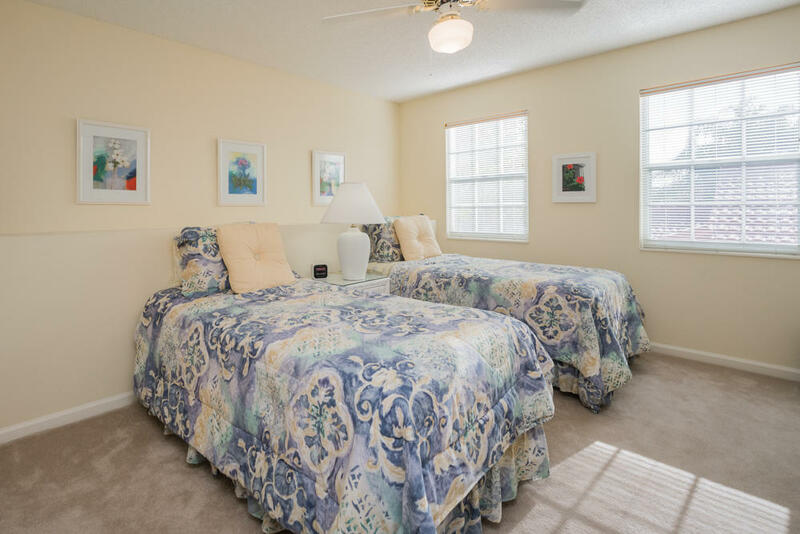 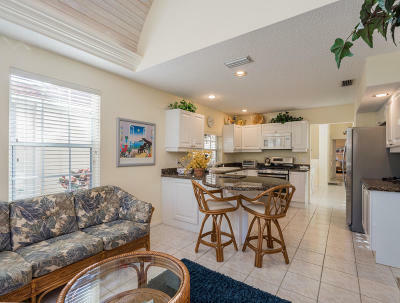 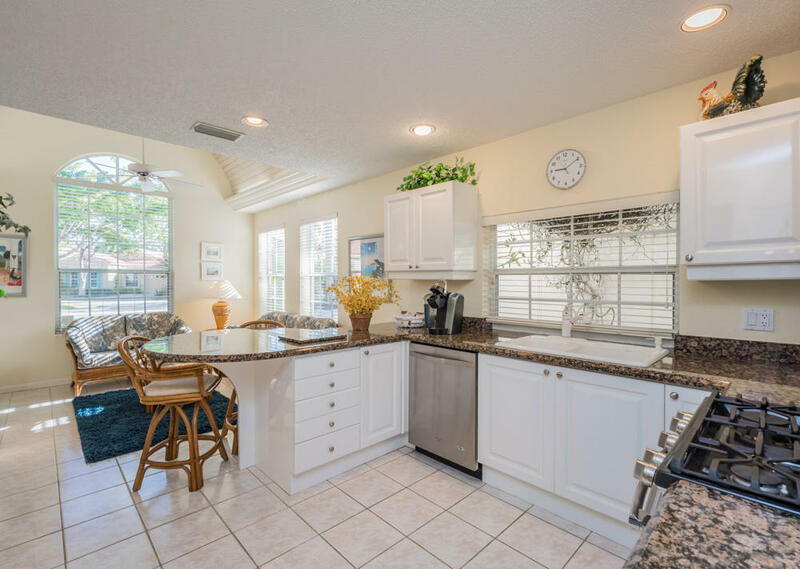 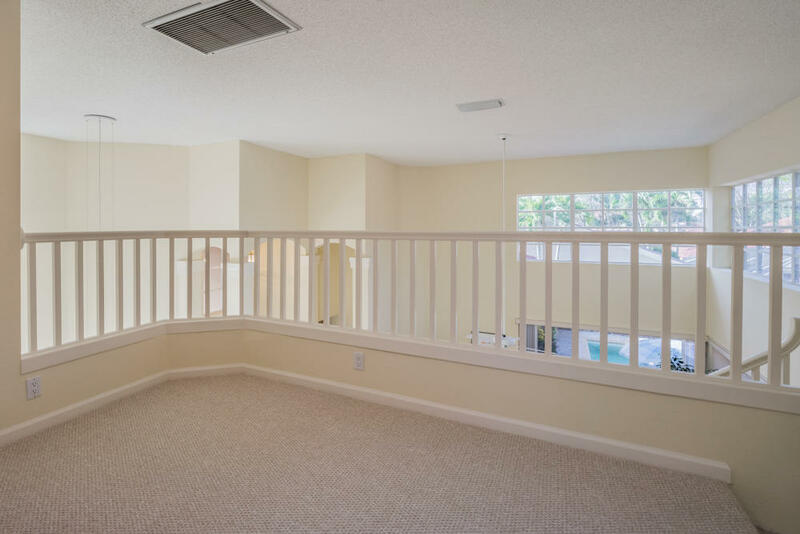 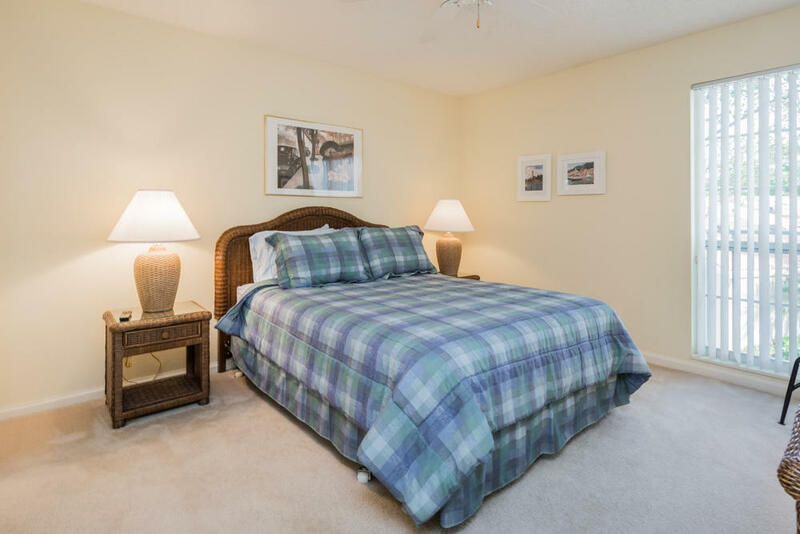 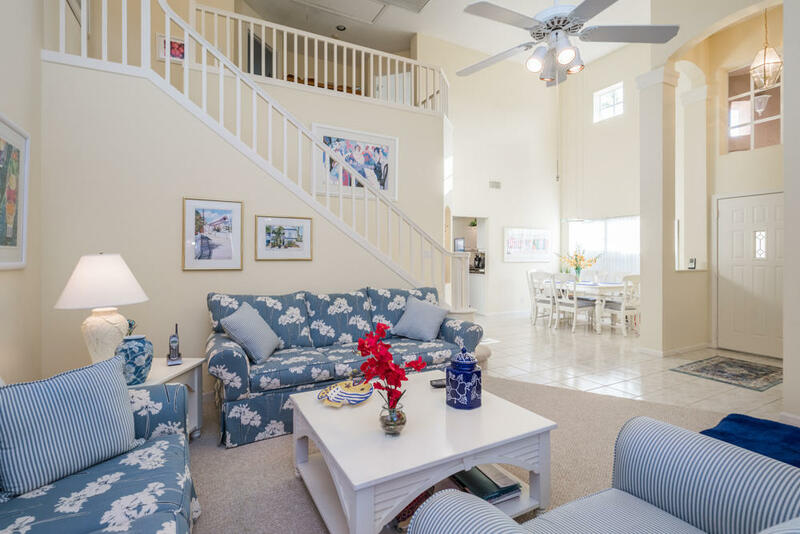 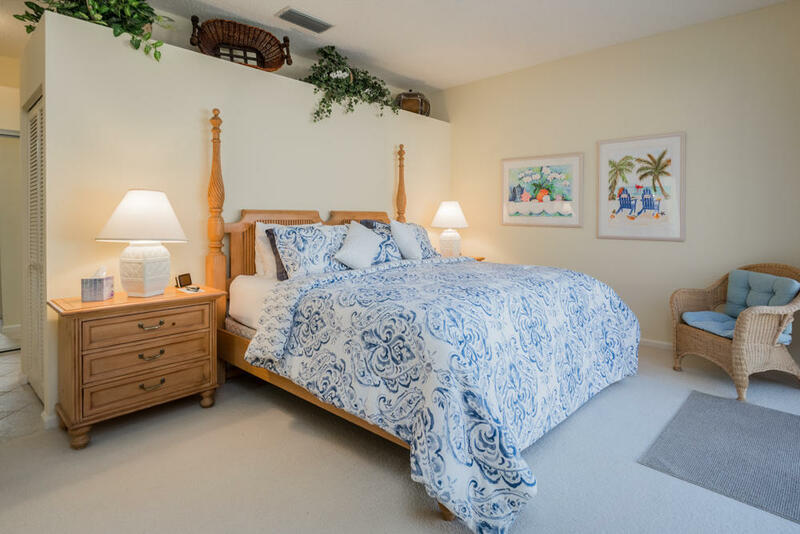 The eat-in kitchen has been recently updated with white cabinetry, granite countertops, stainless steel appliances, and a gas stove, while the roomy master suite has access to the private patio and pool through its sliding glass doors.